As I am writing and submitting this blog post, Pokémon Go is releasing Sinnoh Pokémon onto the streets. Now, I love the different generations for one reason or another but Generation 4 seems to have a special place in my heart as that was when I got back into Pokémon after a long hiatus. In particular, Pokémon Platinum ranks as one of my favorite Pokémon games as they took Diamond and Pearl and improved everything about those games making a stellar classic. 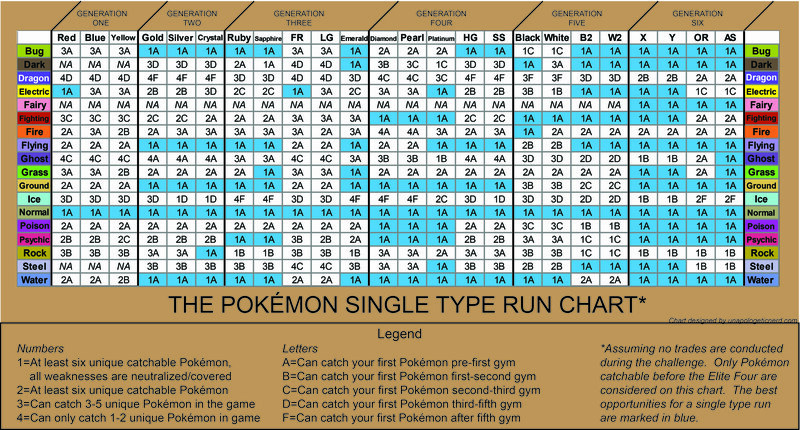 But we’re here to determine which types are the best for a Single Type (or Monotype) Run which is a run where you only catch and train one type of Pokémon. And unfortunately, the Sinnoh games are hit or miss. Although more Pokémon are introduced, Diamond and Pearl only have 150 Pokémon available so you get some pretty average runs. Platinum thankfully adds 60 more Pokémon to Sinnoh which makes a lot of types doable or splendid. Starting with the top tier I’d say the Water, Poison, Normal, Psychic, and Fighting types are types you should go for due to their commonality, early availability and type coverage. This is the first time in the series where Poison can defend itself against Psychic attacks thanks to Drapion and Stuntank and when you have Roserade, Toxicroak, Crobat, and Tentacruel backing you up you’re in for a good time. Fighting types meanwhile have a near consistent occurrence-rate as you have Chimchar as your starter and then later you got Medicham, Toxicroak, and, of course, Lucario. 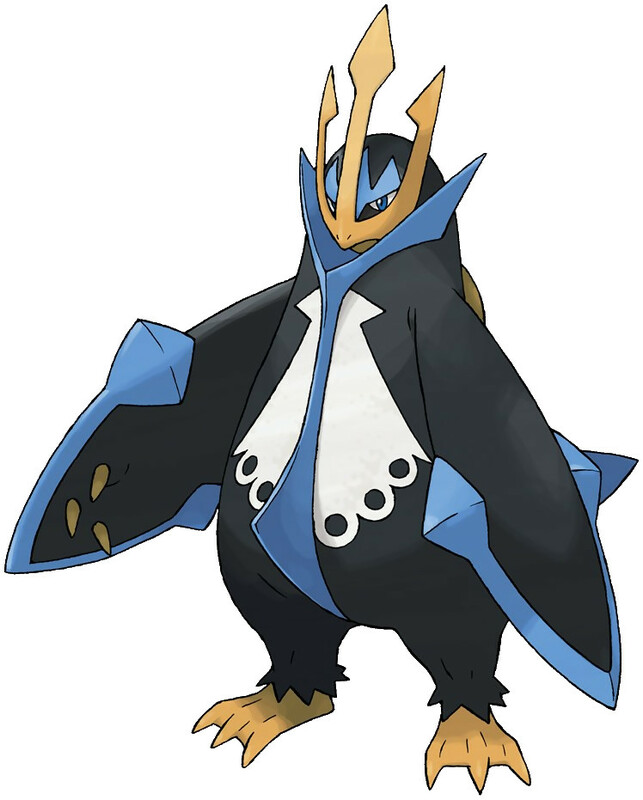 Water is splendid as usual but this run is unique as you got Empoleon who is incredibly rare and amazing. Meanwhile, Platinum improves these types further and make Steel, Ground and Flying types entertaining. Steel already has neutral coverage in Diamond and Pearl but I think it becomes actually fun in Platinum as you can catch a Steelix and train a Magnezone. Oh, but Flying and Ground? Perfection. Thanks tooooo Gliscor! Gliscor’s amazing type combo improves both of those types and come-on, it’s Gliscor, they’re the best. Like routine, Dragon and Ice are types I strongly urge against. Even with Platinum these types suffer due to late game availability (especially Ice), limited selections, and poor coverage. Additionally, if you’re playing Diamond or Pearl, Fire and Electric are pretty abysmal. Sure, you can catch both types early on but there are hardly any of them. Platinum improves their diversity and makes them more doable but it will definitely not be a walk in the park. Dark types are also rather dismal if your playing Pearl or Platinum as they’re available mid-game at best. Thankfully, in Diamond, you can catch a Murkrow in Eterna Forest after the first gym. If you already skipped ahead and looked through the list, you may have noticed Spiritomb is missing from the Dark and Ghost type lists. That’s because he’s one of the hardest non-legendary Pokémon to catch. You need to get the Old Keystone, which itself is not too difficult, but you also have to talk to 32 people in the underground. They have to be actual people too and not NPCs! Thankfully, you’ll only need one other person with Diamond/Pearl/Platinum to do it. However, because you need an additional copy of the game in order to get Spiritomb this technically disqualifies Spiritomb based on our rules. Thankfully, Dark type still has neutral coverage thanks to Drapion. First Pokémon: Murkrow can be caught at Eterna Forest after the first gym in Diamond. In Pearl, you can catch a Skorupi in the Great Marsh well after the third gym. In Platinum, you can acquire an Eevee in Hearthome City just before the third gym. First Pokémon: Gible in Wayward Cave. In Diamond and Pearl you need strength which is after the 6th gym. In Platinum, strength is not required and you can catch one after the second gym. Covers Weaknesses? Only in Platinum, in Diamond and Pearl the Ground type is not neutralized. Covers Weaknesses? Only in Platinum, in Diamond and Pearl the Electric and Rock types are not neutralized. First Pokémon: Snover/Sneasel in Diamond and Pearl on Route 216 after the sixth gym or Eevee in Hearthome City in Platinum just before the third gym. Covers Weaknesses? No, in all versions Water, Ground and Fighting moves are not neutralized. In Diamond, the Rock type is additionally weak to Grass and Steel moves. Covers Weaknesses? Yes, provided you get a Bronzong that has the Levitate Ability. This entry was posted in Pokemon, Pokemon Single Type Run and tagged Bug Type, Dark Type, Dragon Type, Electric Type, Fairy Type, Fighting Type, Fire Type, Flying Type, Generation 4, Ghost Type, Grass Type, Ground Type, Ice Type, Monotype Run, Nintendo, Normal Type, Poison Type, Pokemon, Pokemon Diamond, Pokemon Pearl, Pokemon Platinum, Psychic Type, Rock Type, Single Type Run, Sinnoh, Steel Type, video games, Water Type on November 22, 2018 by Andy.